Are spills, debris, food, clay, paint, potting soil, drool, dust, or other flying stain makers assaulting you? 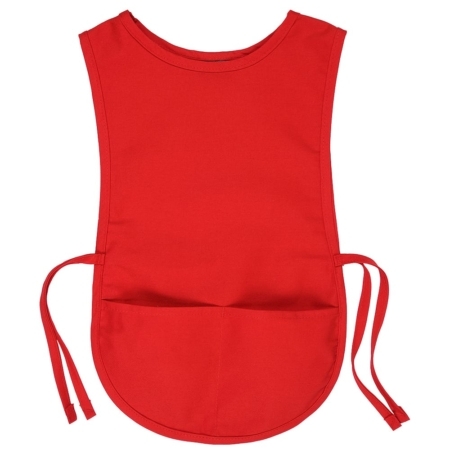 Cobbler aprons are a top choice for anyone who works where clothing protection and comfort are key considerations. These are ideal for artists, child care workers, florists, school employees, church employees, food service workers, housekeepers, or general home use. 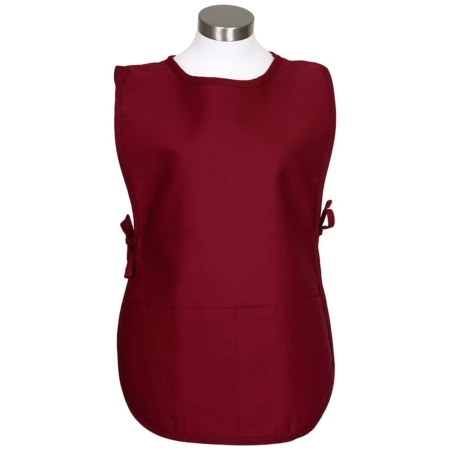 Aprons and Smocks offers two styles of cobbler aprons—rounded bottom and square bottom, and a full coverage tunic vest is available as well. These are made of durable 65/35 polyester/cotton twill and treated with a ProDura stain release finish. The aprons have a handy center divided pouch pocket to hold tools and supplies and also have adjustable side ties. The vest is equipped with 2 ample-sized waist level pockets and 5 buttons. Tunic Vest (with two waist pockets, 5 buttons, in black, hunter green, or burgundy, in sizes S through 3XL). 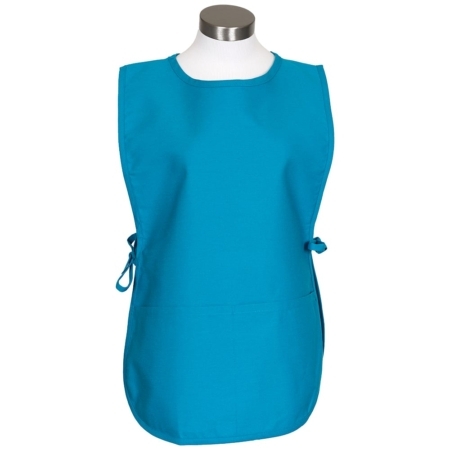 All cobbler aprons can be customized to include your text or logo and wholesale pricing is available for bulk orders. In general, the sizing is as follows: Small size aprons work for women’s sizes XS (2-4), S (6-8), and M (10), depending on preference for fit. 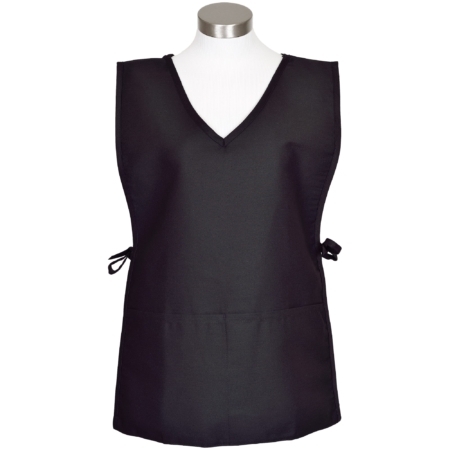 Standard size aprons are for women’s sizes M (12), L (14-16), and 1X (18-20). 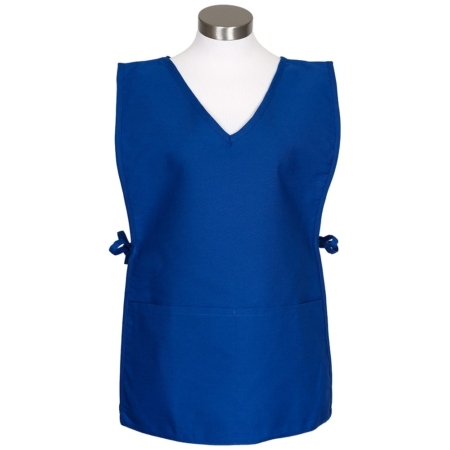 Extra Large size aprons work for women’s sizes 2X (22-24), 3X (26-28), and 4X (30-32). Please call us toll free (877-277-6609) to get sizing suggestions and assistance. Read our testimonials to see what others are saying about our aprons.